Warning: eventually very shocking images below! The year was mid-2004. For anyone who had just registered and joined, it looked like a wonderful, pretty world. Avatars were less cartoonish than, say, on There.com, and with some tweaking they would even look minimally decent. All right, I know — you’re not impressed! But this picture shows my own shape, created on my very first day, and the standard, ugly, Linden-created rubber skin. We all were ugly back then, so although this picture gives me the creeps these days, we thought it was actually pretty good, compared to other virtual worlds! Then in early 2004, people like Namssor Daguerre thought about this very seriously and wondered if there was no way to change the default skin. At that time, remember, all they had to work with was a 2D “clothes template”. If you have seen the ones that Linden Lab publishes, you will quickly see that it’s not obvious where exactly each pixel will ultimately appear. And even if you figure it out, it’s not easy to do a whole skin. Back in 2004, we all thought that it would be “easy” to get some RL pictures of someone and just “distort” them properly so tha they “fit” on the 2D template somehow. Believe me, I’ve tried that; it simply is impossible to do it correctly. In real life, 3D artists would probably project a 2D picture on top of a 3D mesh, and then extract the appropriate 2D map (also called an “UV map”). But, alas, in 2004, Linden Lab did not release the 3D avatar mesh, so this approach was out. Instead, 3D skin designers would have to do all the work manually. Yes, that’s right: the whole skin had to be carefully painted, pixel by pixel, on top of the template, taking into account that the avatar mesh has a lot more polygons on the face than, say, on hands and feet — which would have “stretched” bits if this wasn’t correctly done. Hand-painting a realistic texture was not for the faint of heart! Wow, what an improvement! Well, I know this is not an image good enough for 2010 (you can just look at the low quality of the top I’m wearing!) But you can see how the shape did not change. SL didn’t change either, it wasn’t some sudden feature improvement overnight (you can see that on the background). Notice, however, how the face doesn’t look like “rubber” any more. It looks like skin, as it should! 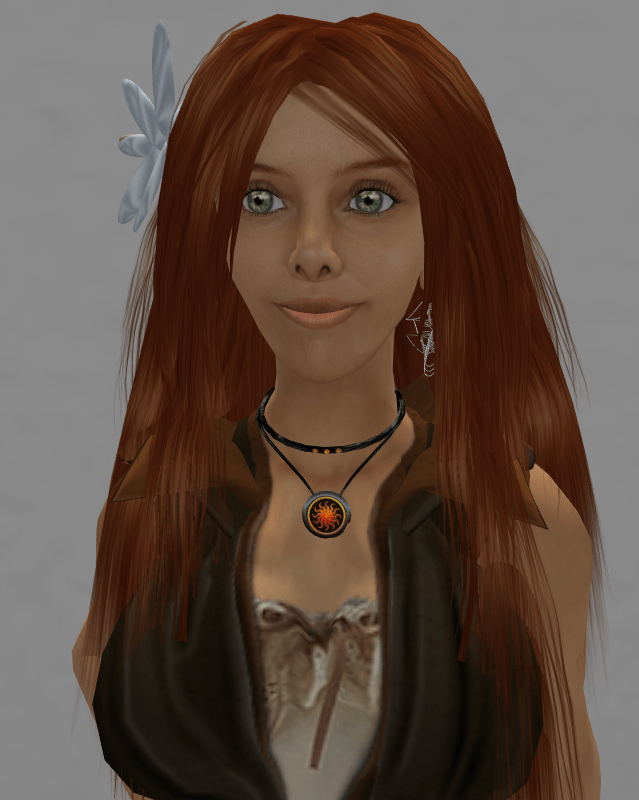 There is some detail lacking (specially on the arms) but far, far better than the Linden skin… even for 2005! Of course we all know that Second Life has improved fantastically (yes, really!) over the years. So the last picture, which is quite recent (from today! ), shows Namssor Daguerre’s third and latest generation skin.